Oh and Did I Mention You’ll Only Pay If You Get Results? It's True﻿﻿﻿! Do you hit the ball well on the range & drain a truckload of putts on the practice green, but when you take it to the course your game just isn’t there? I mean where did it go? It was almost seeming a little “too easy” just a few minutes ago, right? The Mental Game is probably the most important aspect of the game, yet it often gets the least amount of attention. In reality, it doesn’t matter how good your fundamentals or mechanics are if you can’t take it to the course and execute under pressure. So when you play, do you ever experience any of the following? A fear of failure or anxiety creeping in when when you’ve got a good round going. You have a sense of “impending doom” just knowing that trainwreck is going to happen at any moment. One or two blow up holes every round that completely sabotage your chance of shooting a decent score? So many swing thoughts rolling around in your head that you don’t know up from down? Going from “hitting it nicely” to “having no idea where it’s going” after one or two bad swings? The feeling that a 3 foot putt will decide the fate of your first born child (I’m joking...but is the pressure you put on yourself that intense)? I’m going to share with you the same closely-guarded secrets top professionals use to get “in the zone” on every shot while being totally committed and confident while standing over the ball. I know…sounds too good to be true, right? I can assure it’s possible to master the mental game quickly, but only when you know what you need to do! I know this because at one point in my golfing career I was a total headcase! I would stripe shot after shot on the range, and make 6 footers on the practice green like they were going out of style. The problem was when I got to the course...it was like I completely forgot how to play. Sadly, the secrets needed to master the mental game have (until now) only been available to top professionals and elite amateurs who could pull out their checkbook and drop a few thousand bucks on insider secrets. It’s the old case of the rich getting richer! For decades the average golfer has been subjected to confusing, conflicting instruction (especially when it comes to the mental game). Whether it’s a playing partner, your local pro, or even a “shrink” you paid big money for...you probably haven’t gotten the best advice for your mental game. Do you know why most advice on the “mental game” is an epic failure? Sounds great in theory, but how on earth do you block out all of your golfing demons and actually do it? After all, you wouldn’t just tell a kid who can’t ride a bike to “go ride a bike” would you? Would that child be able to just hop on and magically know how to ride a bike? Of course not! It’s the exact same with your mental game. You need to learn how to train your brain so that playing “one shot at a time” is automatic... just like riding a bike. You don’t have to think about it... it just happens as a result of the right mental approach. I’m going to show you how to “recapture the magic” and hit nearly every single golf shot like you know you are capable of...without overthinking. I have been playing golf for over 25 years and for the first 5 years or so I was getting better and better until I was averaging par golf. Naturally I had dreams of playing on Tour and stupidly thought to get there I needed to create the perfect swing to keep on improving. In my attempt to build the perfect swing I gradually got worse and worse until eventually I was averaging just below 80 and every game was a mental battle. Golf is 90% mental, and your mind is the single most important influence over how you swing the club, and what scores you shoot. Deep down, every golfer knows that the game is played in the 6-inch space between your ears. After all, despite the modern technological advancements in the game, golfers still struggle and scores haven’t dropped in the last 50 years! In fact, limiting your mental mistakes and becoming a mentally strong player are the only things you need to do in order to play fearless golf, shoot lower scores, and have fun on the course again! After all, there are so many “shiny objects” and training aids on the market, improving your game can’t possibly be as simple as sharpening your mind...right? When I took a step back and analyzed why I was playing poorly, I realized that a technically perfect golf swing wasn’t going to do me a bit of good if I couldn’t keep my head on straight for 18 holes. My scoring problem wasn’t a swing problem, a short game problem, or a putting problem...it was a big, fat, gigantic mental block that was keeping me from playing my best golf consistently. Now that I had identified my problem, I was anxious to start looking for a solution. I read books, listened to tapes, read articles, and even talked to a few “old pros” trying desperately to get the answers I needed. And you know what I got in return for all of my efforts? I had no clue what to do. I even looked into hiring a sports psychologist, but those guys don’t come cheap and there were no guarantees it would even help. You see, the problem wasn’t that I couldn’t hit good golf shots. The problem was that I couldn’t bring it to the course and actually shoot the scores I knew I was capable of shooting. 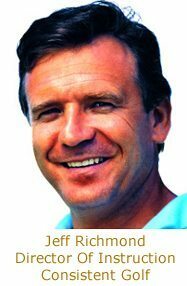 I wanted to step outside of the main stream golf media (including all the “gurus” who were getting rich selling me a bag of tricks), and find out what was actually working for the best golfers in the world. I spoke to a few top pros who were playing in the highest pressure situations imaginable, yet were executing flawlessly under pressure with trophies and thousands of dollars on the line every week. Once I was able to piece together everything they were doing to be mentally tougher than 99.9% of golfers on the planet, I decided I was going to go through everything, break it down, and put it into a simple, step-by-step training program that I could share with average golfers everywhere. Once I “got my head on right” I was able to start shooting lower scores while hardly ever practicing. To be honest it was strange...I felt like I was cheating or something! I mean, you’re supposed to have to put long hours in to become a better golfer right? Yet here I was, hitting solid golf shots consistently, holing more putts, and hitting delicate flop shots over bunkers without even thinking about chunking, sculling, or s***nking it! I had achieved amazing results while practicing simple drills and exercises from the comfort of my own home! I still remember how nervous I was...I mean I had seemingly “cracked the code,”...but would it last? Sure enough I played another round, and another, and another...with the exact same results! I was so excited that I put a detailed training program together to help as many golfers as I could. “After every game, I would count up all the shots I wasted due to my mental mistakes. It always was between 7 – 10 shots every game. This was stopping me from breaking 90 consistently. Beat the Yips and Slashed 20 Strokes! Plays as Well, If Not Better in Tournaments Now! Do You Want Results Like? Introducing the “Mental Golf Mastery” program! Transforming yourself from a fragile-minded golfer into a player with unshakeable confidence and mental toughness is the single most important factor to improving your overall game. By not being mentally tough you’re not only missing out on lower scores, but also robbing yourself of the fun, enjoyable experience that golf is supposed to be. If you don’t master the mental game, you’ll always struggle with negative thoughts, bad swings, and you’ll never be able to play up to your potential. Completely “locked in” and focused on Every. Single. Shot. Discover how to transfer those great shots you hit on the range to the golf course. Have unshakeable confidence and self-belief. You’ll feel like you can almost “will the ball into the hole”. Play great shots (even on the 18th hole, when there are 20 guys watching, beers in hand behind the green…). Stop getting angry on the golf course. Make loose, free swings without any swing thoughts. Play to your potential consistently and actually thrive under pressure. Turn golf from a “mental exercise” into a stress-free, relaxing afternoon. Can Now Play Golf Stress-Free! This Mental Golf Mastery program is different from any other mental game program you’ve ever seen before because you’ll get a new lesson every week (although you do get them all at once but the program is setup on a weekly format). I give you the perfect amount of information that you can implement easily each week...not too little, not too much. This is a step-by-step, “paint by numbers” instruction program. Nothing is left to chance. On the off chance that you don’t understand something, you can email me directly to get an answer. Best Golf Improvement Investment Ever! Discover how to prepare before each game so you give yourself the best chance of playing your greatest game of golf…ever! Learn a simple mental technique that will increase your golfing confidence by over 100% almost instantly. Discover the A, B, C’s of every golf shot. And it’s not what you think but it is very, very powerful and will change the way you look at a golf shot forever. Learn the secret of how your mind works best when targeting golf shots. Find out the best mental technique so you concentrate on the shot at hand without thinking about the past or future. Discover what questions you need to ask yourself so you can choose the best club and strategy to get the closest you possibly can to your selected goal/target. Learn one relaxation exercise that will help you to hit the ball better, more consistently and with less effort. How to improve your concentration so you enter a state of “relaxed concentration” for every single golf shot you play! How to improve your visualization skills so you can program your mind to automatically and consistently produce what you have imagined! How to consistently get your mind back into the same state as when you hit your greatest ever golf shots. Get 4 techniques that will help you to train your subconscious mind to swing automatically without interference from your conscious mind. Discover every technique and strategy I know of to use between each shot. This will help you to truly play one shot at a time. Find out exactly what you need to do after every game to help you have the best chance of success the next time you play a game of golf. Your playing partners and fellow competitors won’t know what hit them! Now a Mentally Tough Golfer! Becoming a mentally tough golfer with an unshakeable self-belief isn’t easy, but it is possible...if you know what you are doing. You don’t need someone else to tell you how to be a mentally tough golfer, you need a step-by-step program that is going to show you exactly what to do in a “do this, do that” format. You don’t need anymore B.S. advice from “armchair golf psychologists”...that’s for sure. Because “playing golf one shot at a time” or “imagine you’re Jordan Spieth when putting” certainly hasn’t worked yet, has it? It’s time for a change...a refreshing, real approach to sharpening your mental sword. You need a program that is guaranteed to work...not some unproven advice. If you want to a guaranteed program, now you can get it. Up until now, this program has only been available to students of the Online Consistent Golf School Program...at a cost of over $222 per student. These students were drip fed lessons over 6 months, but now you have the opportunity to get the entire Mental Golf Mastery program at once for a low, one-time fee! As I said, golfers have paid up to $222 for this program and taken 6 months to go through it. 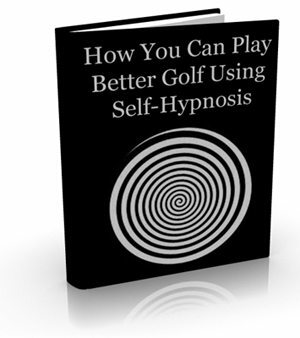 But now you can get the entire Mental Golf Mastery” program straight away and work through it at your own pace. As good as the Mental Golf Mastery program is... sometimes you’ll just want to get some personal advice about your current problem. 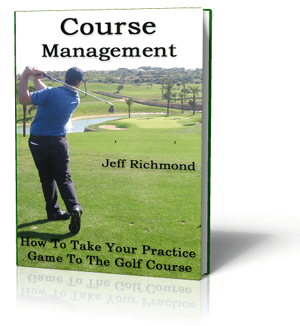 And when you get the Mental Golf Mastery program now you can send me any golfing questions or problems (within 6 months of your order) and you’ll get a response back from me personally (Jeff Richmond) within 24-48 hours (generally sooner) Monday-Friday. When you get the Mental Golf Mastery program now you’ll get one free video lesson to redeem when you want – in the next 6 months. So simply send me your swing on video (full instructions on what you need to do for this are in the private website) and I will analyze your swing and send you back advice and a plan on what are the main things you need to work on improving. When you get the Mental Golf Mastery program today you’ll also be able to download FREE the digital version (i.e. you can download it to your computer) of a golfing confidence CD that has been sold for $24.95. Is that some total game improvement package or what?! But you know what’s funny...? I didn’t even include everything you’re going to get when you get the Mental Golf Mastery program! One of the cornerstones of my Consistent Golf coaching business is over-delivering. I want my students to be absolutely floored at the value they receive. After all, if you were to add up the retail value of all of these free gifts, you’d be looking at $625 bucks! In fact, if you order today, you’ll get the Mental Golf Mastery program, as well as all of the exciting free gifts for a whopping 87% discount! That’s right, you’re going to get $625 worth of golf instruction products for a one-time fee of just $97 67! That’s a saving of $558 bucks! If you’re tired of blowing your rounds, hitting poor shots, and not enjoying golf anymore, the answer is to improve your mental game. When you become a mentally tough golfer you’ll have more fun, shoot lower scores, and just flat out enjoy golf again. So click the “add to cart” button below, and you’ll get access to all of these products, even if it’s 2am. When you get The Mental Golf Mastery program now you get a full 60-day money back guarantee. If you’re not happy with it for any reason then within 60 days of getting it you can get 100% of your money back — without any hassles. 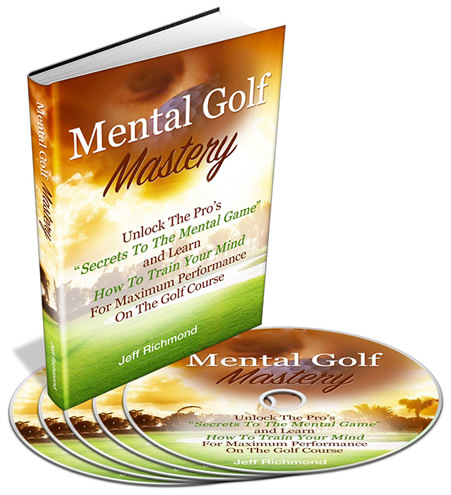 YES!…you have 60 days to try out all the Mental Golf Mastery program along with all the bonuses and if you don’t improve or think you will improve then simply get your money back. By giving you all of this for the insanely low price of $97 $67 AND offering you a “no questions asked” money back guarantee, I’m obviously taking all of the risk. There is literally no risk on your part...if you love it and get results, you’ve made a great $67 investment (less than the cost of your next round probably)! If you don’t like it...just ask me for refund. But remember...this amazing offer is only available for a very limited time. For a measly $67 you can get the exact same methods that top professionals use to build unshakable self-confidence and belief in themselves. 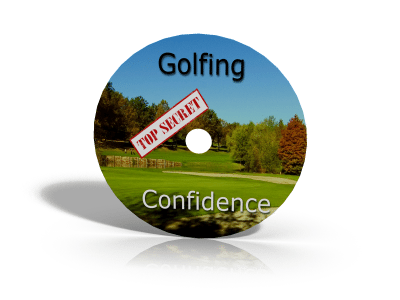 You’ll finally be able to learn the secrets top professionals use, and unlock your own golfing potential. I can’t wait to help you master the mental game! All you need to do now is click the “add to cart” button below, and your payment will be processed securely through Clickbank. Once you’ve completed your order, you’ll immediately be taken to a secure download page where you can get all of the lessons in the Mental Golf Mastery program plus the bonuses instantly...even if it’s 2 A.M.! And remember, if for some reason you aren’t thrilled with your purchase, I’ll give you a full refund, no questions asked. On the other hand, if you decide not to take me up on this 100% risk-free offer, you may NEVER get over the mental blocks that are keeping you from playing your best golf. You’ll never realize your full potential, and will always be searching for the “magic bullet” swing tip that just doesn’t exist. Aren’t you tired of the inconsistency? Don’t you want to improve your scores and have more fun without having to spend any money on new clubs or having to change your swing? Don’t you want to thrive under pressure like the pros instead of choking? For a tiny investment of just $67 (that is backed by a full money back guarantee), you can become the mentally tough golfer you’ve always wanted to be. I’ll show you how! Click here to secure your spot! You owe it to yourself to take action and grab your Mental Golf Mastery program today. Just click the “add to cart” button below to be taken directly to our secure payment gateway. Important Note: If you’re not 100% sure whether this Mental Game Mastery program is for you, get it anyway and then use the 60-day, 100% money back guarantee if you have to. 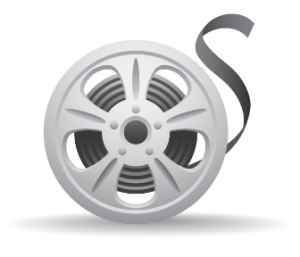 That’s what it’s there for….to protect you! I’d hate for you to miss out on having a being a mentally tough golfer because of bad experiences with other inferior golf improvement products. Look, life is too short to be frustrated with your golf game. The time to take action is now. It’s now your turn to become a mentally tough golfer once and for all. Start right now so that in your very next game of golf you can improve and keep improving consistently. This could be the one solution you’ve been looking for to help you become the golfer of your dreams. But you’ll never know if you don’t take action now. And the fact is..unless you create better habits you’ll always be dreaming about how good a golfer you could be. So stop dreaming and start doing. Take action now and get the Mental Golf Mastery program now and start improving your golf game in just 5 minutes from now! The choice is now yours. You can follow a proven formula to become a mentally tough golfer — or you can keep doing what you’ve done up until now and score just like you’ve always done. I trust you’ll choose the correct path to become a mentally tough golfer because you’ve finally found the one solution to help you do this, you just need to take action by clicking here to start your 60-day free trial now. P.S. When you get the Mental Golf Mastery program now by clicking the ‘Add To Cart’ button below it will be processed by Clickbank. They accept all of the major credit cards (and PayPal) and implement some of the strongest security and anti-fraud strategies available today. So your order is completely secure and safe with them and that’s why I choose them to process our orders.